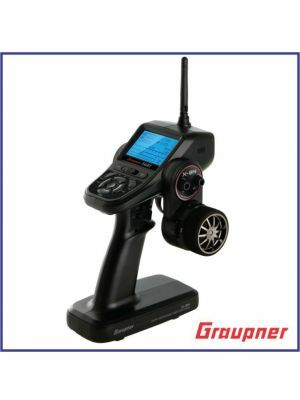 Charge multiple batteries simultaneously with the Graupner Polaron EX dual-charger, for a grand total of 800W. The beautiful TFT LCD touchscreen gives the Polaron EX a user-friendly interface. Automatic setup provides optimal charge profiles, ensuring efficient and safe charging – simply enter the battery type, cell numbers and capacity information and the Polaron EX will do the rest! Eliminate the need to re-enter battery information by using up to 20 different memory profiles – just select the appropriate battery profile and press CHARGE. Prolong the life-cycle of your batteries by discharging them and/or placing them in Store Mode when not in use. Safe handling and monitoring is easy when the Polaron EX is attached to the supplied balancing boards and when used with the enclosed temperature sensors that carefully monitor high charge rate batteries. Personalize your look with the silver casing. Stay informed on a desktop or laptop computer via the USB connection by monitoring the charging process or upgrading the firmware with our free Graupner Update Studio. The Polaron EX excels at bringing new life to your batteries and hobby experience! 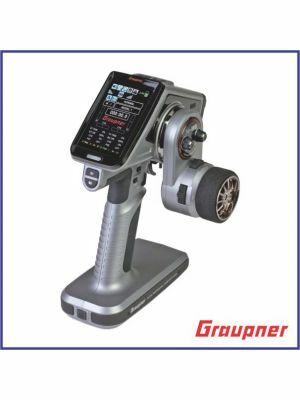 The Graupner Polaron Switching Power Supply has been specially designed with a genius side-docking power system that eliminates the need for external connecting cables, allowing a seamless coupling to the Polaron EX. The user-friendly LCD screen keeps you informed of integral real-time information regarding consumed current, voltage, and charging environment temperature. Charge additional devices simultaneously with additional output connectors, and the frontal USB port provides plenty of power to charge your USB devices! The Polaron Power Supply is the perfect staple for your hobby workshop.